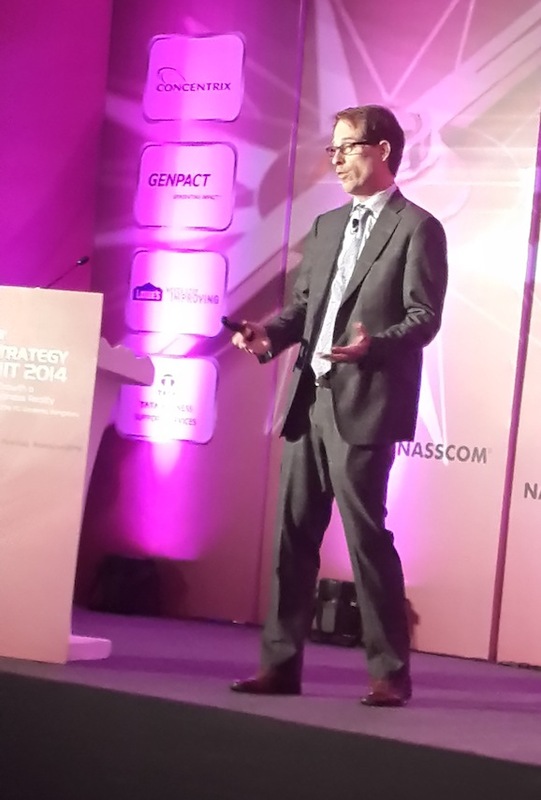 Last week, HfS attended and presented at NASSCOM's buzzing BPM Strategy Summit 2014 in Bangalore. Phil, let me begin by first acknowledging strong attendance (~500 people) for this year's Summit and the high level of engagement from across the NASSCOM membership during the day and a half of sessions. The theme of the Summit was what NASSCOM member's could be doing to drive hyper-growth to bring the exports of BPM services from India to $50 Billion by 2020 a CAGR of ~16.5% which really is hyper-growth by anyone's calculations especially for an industry with 25+ years of history in India. To borrow a metaphor provided before to HfS by Anantha Radhakrishnan, SVP and Global Head of Enterprise Services at Infosys BPO, we liken the final goal that NASSCOM wants to create with this $50 Billion to the equivalent of an especially tasty meal of an Indian Biryani (a mixed rice dish comprised of many different ingredients that also has many different regional variants across India) made up of various existing ingredients that the BPM industry has at its disposal today, plus a few that are just now emerging. Based on the panel discussions and all of the hallway conversations during the Summit, we identified the following as being the key ingredients that most NASSCOM members believe will comprise the final dish. » Analytics. Perhaps the most recurring topic through the Summit was whether analytics could be the driver for BPM growth through 2020 that Y2K was for the Indian IT industry in the late 90's. We sat in on discussions around pricing models and operating models in analytics along with whether clients would be most interested in offerings based on descriptive or predictive analytics solutions. Some panelists stated that analytics could be the second biggest area in Indian BPM export mix by 2020 bypassing F&A, which implies that analytics could be $11 billion-plus sector from the current levels of only $825 million. » Omni-Channel Contact Center. The Customer Interaction Services (CIS) is the largest component in the Indian BPM export mix and the consensus during the Summit was that it will remain so by 2020. There were discussions around the evolution of CIS to multi-channel or omni-channel contact centers, and how consumers, who now interact with companies through numerous channels, expect superior services and a seamless experience across all the channels. These companies then in turn expect the same from their BPM service providers which will be the challenge for NASSCOM members as they seek to have this sector drive a significant portion of the overall growth ambition. » Finance & Accounting (F&A). The second largest component of the Indian BPM export mix today and from discussions at the summit it was clear that the service providers think that F&A will continue to be a high growth offering through the rest of this decade fueled by untapped customer demand and the depth of capabilities available from service providers across the NASSCOM membership. » Healthcare. There was also great interest in healthcare primarily driven by the fast approaching second operational year of the Affordable Care Act. The announcement of Cognizant's acquisition of Trizetto just before the Summit further validated the healthcare opportunity and signaled how service providers are willing to make big bets in this vertical. » Partnerships. Partnerships are a cornerstone of the growth strategy for BPM service providers who don’t have capabilities in all the possible delivery technologies and process domains. In the past we saw that BPM service providers were occasionally naïve in their approach to technology and service partnerships but that is changing quite dramatically. In our side-bar discussions and in the panels, we saw many, many examples of new and extensive partnership strategies emerging to drive growth especially from traditionally "pure play: BPM players which don't have an extensive library of proprietary platform plays today. » Platform Plays or Business Process as a Service (BPaaS). While not a large source of export revenue today, the discussions around the Summit were that business platforms need to be a central component of BPM solutions across vertical and horizontal offerings going forward. During individual service provider discussions, the specific business platforms they have or will be bringing to market were always near the top of the agenda with our HfS team. » Robotics Process Automation (RPA). I presented a closing keynote session at the Summit that introduced the concept of a Maturity Model for RPA which in turn generated significant discussions as to whether this was an enabler or an impediment to the $50 Billion growth target. HfS believes that RPA will for many service providers act as an enabler of growth breaking the current near linear linkage between FTE growth and overall revenue growth in the BPM industry. That said, for those NASSCOM BPM members whose core service offerings are based upon data entry or other process steps which are easily replaced by RPA the future will not be anywhere as rosy and in fact RPA will likely be a very significant threat to even the current business. » Acquisitions. 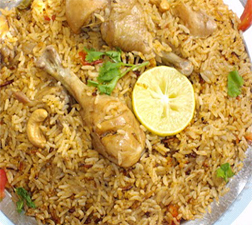 Perhaps fueled by the size of Cognizant's Trizetto acquisition, the Summit was buzzing with discussions as to whether ramping up acquisitions in the BPM industry especially of software and business platforms could to really solidify the hyper-growth or to keep with our Biryani metaphor - to add the final flavor which makes the dish totally enticing. Sadly, we didn't hear any juicy new rumors to share with you here but it's clear that the industry is willing to step up from broadly having a strategy of small "tuck-in" acquisitions to targets which are much bolder and potentially harder to digest. So overall, we clearly saw during the Summit what this $50 Billion Bangalore Biryani is likely to be comprised of, and we will be eagerly watching all the chefs congregate in the NASSCOM kitchen to deliver this tasty treat by 2020. We will check in again next year and see how all of this is coming together and what else the industry might yet add to create the final dish. Thank you Pareekh and Charles for this valuable report, and sharing great thoughts.. I liked the idea on "Progressive Outsourcing" ! Most firms are eyeing the opportunities, but very few are reaching out to clients and jointly working on POCs and developing the ideas further. In the end, most firms will only do what is "easy" stuff, and over 90% of the work will not go beyond "Reporting" in the next 4-5 years. F&A will continue to be mainstay , but good potential in Procurement, HR and Sales, through Business Platforms. This is a classic "Build vs Buy" question. Its better for firms to opt for Third Party Platforms, rather than develop inhouse. An alternative maybe to Outsource the development of the Platform to a OPD firm, and get the Process Cababilities from a Consulting firm, rather than build themselves. Business Platforms will allow the Indian firms to reach out to smaller business and new geographies. RPA: Somehow, the Indian Industry is not waking up to the reality. BPM firms should be partnering with firms like IPSoft to try build solutions around Amelia and be ahead of the curve, rather than be caught napping. On the whole, the Indian BPM firms should introspect and see how they are adding value to the clients. All these years, the focus has been on "labor arbitrage", and less on "Innovation". The industry should move beyond cosmetic changes, and do something more meaningful stuff. It wont be out of place to mention that the Industry changed the nomenclature from BPO to BPM.. but did it really make any difference?